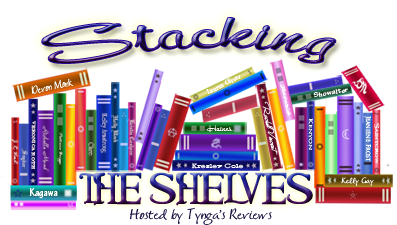 Stacking the Shelves is a meme hosted by Tynga’s Reviews, and it’s all about sharing the books you’ve added to your shelves, be they physical or virtual, sent to you for review, bought, or borrowed from the library. It’s been a few weeks since I’ve last done Stacking the Shelves, and I can’t quite remember what I’ve bought and borrowed, so there’s definitely a few missing, especially as some have gone back to the library. What have you added to your shelves recently? Nice haul. Hey the library is a great tool to use for book blogging. Come visit me as well. I tried Eat, Pray, Love but struggled with it. I never finished it. Happy reading. I've heard tons of good things about Eat, Pray, Love. I hope you enjoy that one! Eat, Pray, Love is one of the many books that I have been meaning to read for too long. Enjoy. It's been years since I've read something by Malorie Blackman, but she was one of those authors I adored when I was at school, and her being the new Children's Laureate, I figured I'd check out some of her more recent work. Thanks, I'm not convinced by it, but I'm willing to give it a chance. I've heard mixed reviews, and I've not seen the film. No harm in trying it out! I'm not usually into self-help books, and this sounds a bit sel-helpy to me, but we'll see. I'm a huge advocate of the library, we all need to use them more, otherwise they'll disappear. It's definitely a mix of stuff!